Are you thinking of taking a relaxing holiday away from the hussle and bussle of your daily routine? Then you need to visit Ballina, a small beach town in Northern NSW. 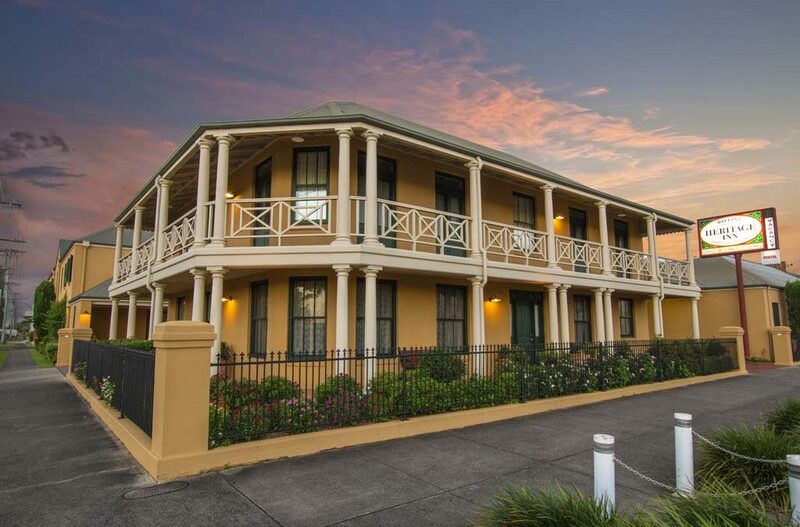 What could be more relaxing than staying in the Ballina Heritage Inn, a luxurious motel in that is only 15 minutes away from Byron Bay. If you are looking for accommodation that is reasonably priced and feels like home, then look no further than this cosy slice of paradise! Centred in the middle of town, you are only moments away from the local cinema, RSL club and fitness centre. Hence, a Ballina holiday is perfect for a family vacation, business trip or solo expedition! So Give us a call today. Established in 1993, our hotel staff have a wide array of experience in catering for their guests, from delivering a full breakfast with room service Monday-Friday to offering guests a splash in our outdoor pool, our team has the knowledge and commitment to making your stay as comfortable as possible. As winter is on its way, our double-brick building and reverse-cycle air-conditioning in all of our rooms ensures that you are warm and comfortable during your stay! Furthermore, as we are located across the road from the Ballina RSL and are positioned in the centre of town, we have all of your eatery needs covered! So give us a call today and see which of our rooms would be best suited for you! Whether you are after a relaxing retreat or an active adventure, Ballina Heritage Inn has got you covered. We have a range of spacious rooms, including single/double, twin, 2 bedroom apartments, disabled access rooms plus many more! Also, we guarantee that all of our rooms are clean, tidy and spacious, ensuring that you enjoy your time visiting Ballina and surrounds. Furthermore, even though we love everything heritage, we understand the importance of remaining connected in the modern world. Hence, we offer free WiFi to all of our guests, as well as equipping our rooms with Fox Cable TV and DVD players. There is also no need to worry about parking, as we are able to cater for cars, boats, motorcycles and trailers. Give us a call to book accommodation that will compliment your Ballina get away.